The game changing breakthrough in image quality in smartphones due to the release of the Nokia Lumia 1020 really can’t be explained through tech specs and comparisons. The challenge was to show that your smartphone can double as professional quality camera. 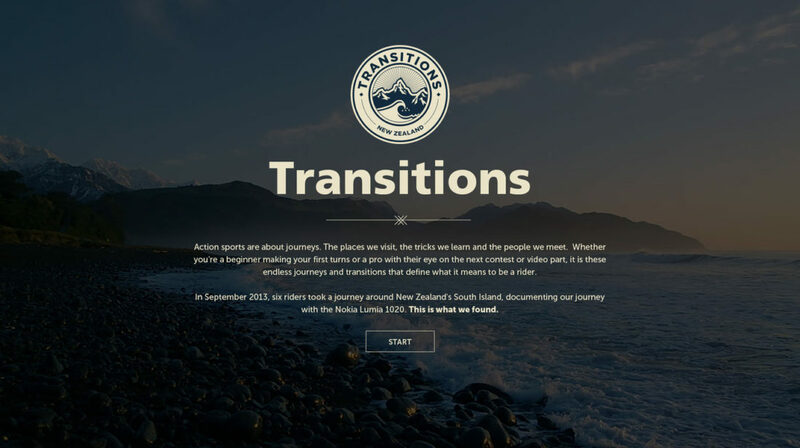 So a novel way to show the capabilities of the camera as well as the durability of the phone was to travel to New Zealand to create an innovative travel journal and documenting every sight and sound using just the Lumia 1020. 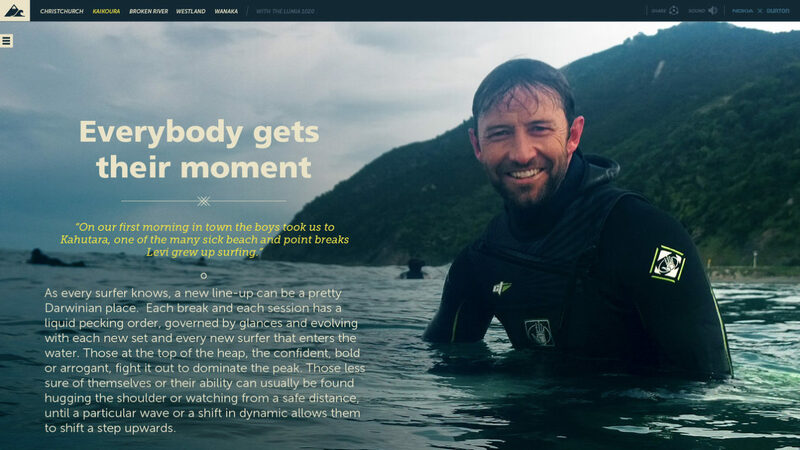 As well as revealing as much as possible about board sports culture in New Zealand and what it means to be a contemporary traveller. 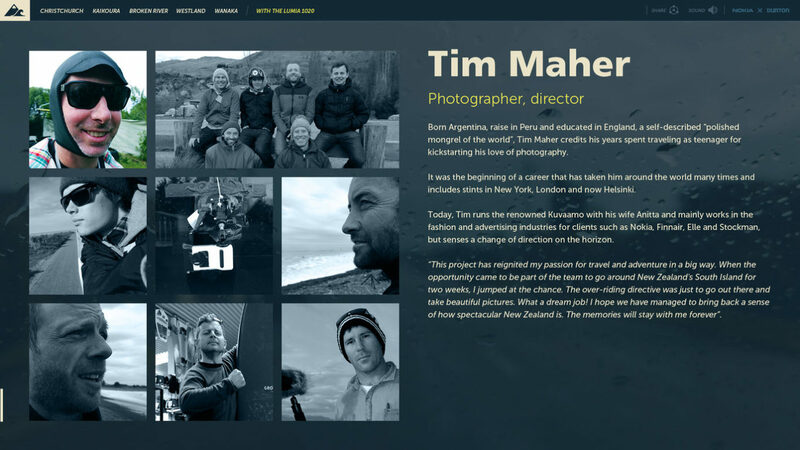 From the vast amount of material from the trip a bespoke website was developed to allow people to experience this journey from earthquake devastated Christchurch to the snowy mountains of Wanaka. Rather than just bombarding the users with technical data, megapixel amounts and comparisons we used a more subtle approach to presenting the camera capabilities. The marketing was done through solid storytelling with photography on par with any traditional editorial. 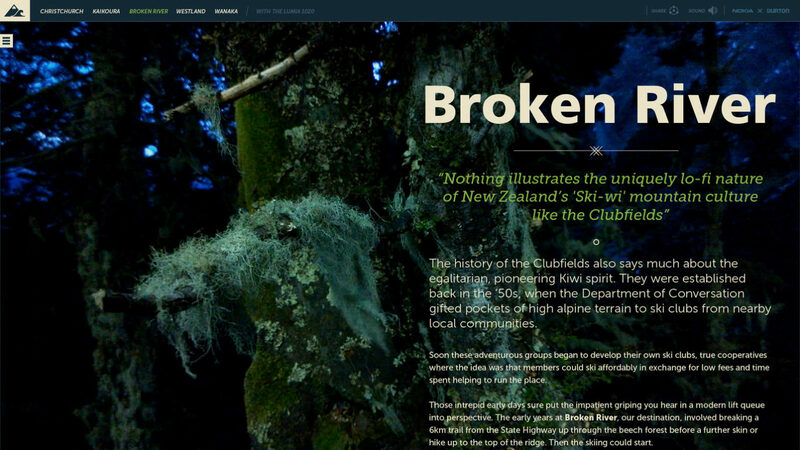 The site tells a story through interviews and an interactive travel journal. 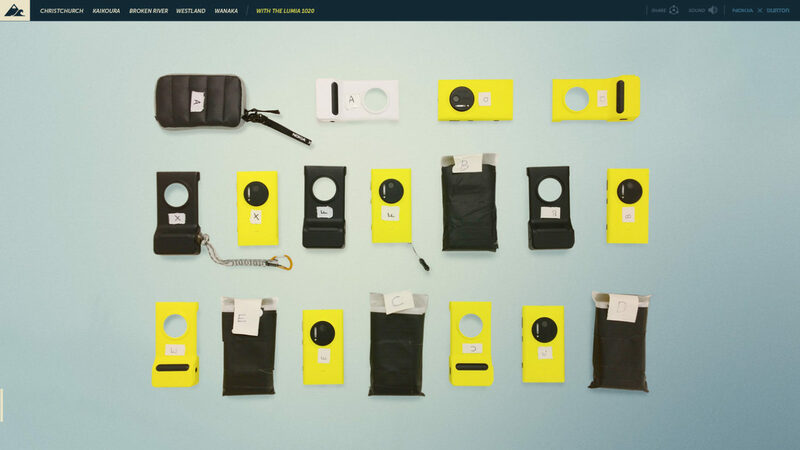 It was a given that the image quality would be scrutinized, both technically and creatively. 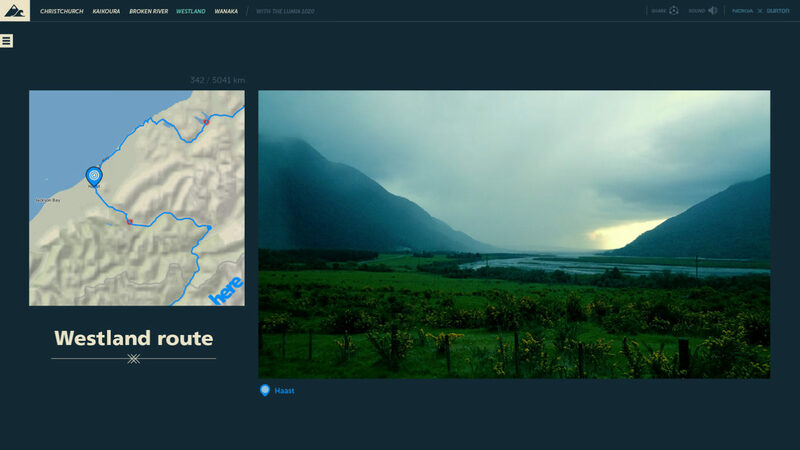 Luckily the varying conditions of sunshine, rain and snow of New Zealand proved to be a perfect benchmark for the device and the Lumia 1020 came out a winner. To show the possibility to create professional quality photojournalism it was essential to show the images in full screen preferably on large display and limit the editing to simple colour adjustments. The website also features video and sound as well as a raw gallery with original high resolution images straight out of the camera available for download.